Today I attended a yoga class, as the recipient. I’ve not been to many yoga classes in the past 17 years (or so), and few, if any, Hatha yoga classes. The teacher is a dear friend of mine, who is very dedicated to sharing yoga and being a life-giving influence in the world. I appreciate her a lot. After the class she asked me how it was for me. I appreciated her teaching style and enjoyed the opportunity to be guided through yoga asana by another. It moves me into different asana and routines than I might not otherwise experience in my own time and space. The one thing that stood out for me, however, as less than ideal was the music. Music was playing throughout the class. I recognised a few of the tracks such as a few from Snatam Kaur, Krishna Das, and a few other musicians I don’t recall the names of just now. Many of the tracks and artists were new to me. My experience was that the music added little, if anything, to the class except distraction and energetic disturbance. There was one moment when a Snatam Kaur song I greatly enjoy played and I noticed my response to the music moved me into a pleasant and heartfelt inner space. Briefly. Sure, it was nice, but sitting around being moved by music is something I can do outside of a yoga class. I don’t consider listening to music an aid to Yoga practice. Even if the music has qualities that I enjoy, within the context of yoga this experience is artificial and unnecessary. It is a state induced by music, not by my own awakening into and through the body. There is nothing wrong with that—it’s not a question of “right” or “wrong”. It’s just that for me one of the beauties of yoga is that it is a self-arising experience from within, and it does not depend on outside stimulus like music, drugs, social interaction, entertainment, etc..
Over all I found that the music hindered the emergence of Yogic awareness. It was, in my experience, a distraction that detracted from my direct and pure relationship with my breath and body through the asana and breathing. The end result was that I felt I had attended a class of asana practice, with very little opportunity for yoga. I already feel that many yoga classes are not a place for circumstance in which most people really experience yoga (as a state of consciousness), which I write about in another post. The music compounded that even further. Simply put, I do not recommend playing music in yoga classes. I never have, and yet I’d never been to a yoga class with music so it’s only now I feel moved to write something about it. I see nothing to be gained from playing music whilst practicing yoga, and yet I feel there is much to be lost. What one play music whilst meditating? Would be be inclined to play music whilst at church praying? Not likely, because we innately know these activities don’t really go together. There is another point I feel it is important aspiring yogins be aware of. Simply put, a large proportion of the music available today is energetically distorted. The most obvious is vocal music, but this can even includes so-called “spiritual” music with mantras and so forth. The issue here is that a lot of musicians create music as an expression of their inner world, and that inner world oftentimes has unconscious elements to it which are out of balance. Emotive vocal music is a clear example of this, but even music that seems more nutral can fall into this situation. You see, the music is arising from the musician and it will carry into form a vibrational representation of their inner unconsciousness, their shadows, their challenges, and their personal issues and dysfunctions. The vibration of this literally informs the mind and body of the people who listen to it. Some people enjoy that; they like having their emotions stirred up by music, and feeling their state change as a result of listening to music. There is nothing wrong with that per say. Yet in my view it is a distraction from entering into yoga, so it would be best to keep it out of the yoga room, and done at some other time. Even music with no vocals can carry disruptive vibrations into the atmosphere in which one is practicing yoga. This can include music that on the surface sounds beautiful, or even spiritual. Again, the inner mind and state of the artist will influence the vibration of the music. It is important to be quite particular about what sort of music one listens to on a regular basis, and most especially whilst practicing yoga (which puts us into a very open and receptive state). 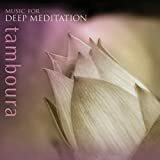 If you wish to use sound to create a yoga and meditation enhancing background soundscape I would recommend you try playing pure tamboura music. The tamboura is said to mimick the vibration of the primordial sound current… the Universla Om… the vibration of Life. It is perfectly appropriate to play tamboura in the background whilst practicing yoga and meditation. Many people will find it even enhances their practice and helps them to go inward in an authentic way. Whilst it may appear to also be an outside prop (and it is, to a degree) it differs in the fact that it is pure vibration which helps us connect with the sound current within. The one I use can be purchased on Amazon and downloaded to your computer, iPod, and other devices. I agree. Music has no place in a classical yoga class. I think of it as borrowing from yoga when it’s not classical, and in the case of Bikram- I don’t think he’s teaching yoga at all!